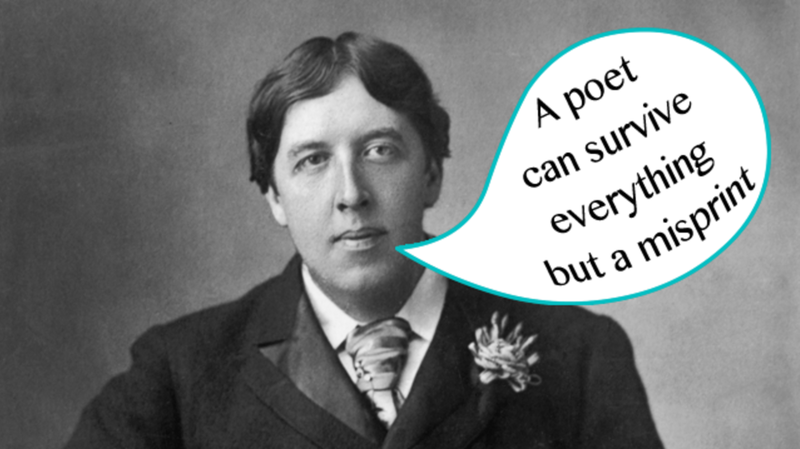 April is National Poetry Month, and it’s worth celebrating. But don’t take our word for it – just ask these poets about their craft and their colleagues. 1. “Poetry is ordinary language raised to the Nth power. Poetry is boned with ideas, nerved and blooded with emotions, all held together by the delicate, tough skin of words.” — Paul Engle, from an article in The New York Times. 2. “He who draws noble delights from sentiments of poetry is a true poet, though he has never written a line in all his life.” — George Sand, from The Devil's Pool. 3. “Poetry is not an expression of the party line. It's that time of night, lying in bed, thinking what you really think, making the private world public, that's what the poet does.” — Allen Ginsberg, from Ginsberg, A Biography. 4. “To be a poet is a condition, not a profession.” — Robert Graves, in response to a questionnaire in Horizon, 1946. 5. “Poetry is emotion put into measure. The emotion must come by nature, but the measure can be acquired by art.” — Thomas Hardy, as quoted in The Later Years of Thomas Hardy by Florence Hardy. 6. “Poetry is the journal of the sea animal living on land, wanting to fly in the air. Poetry is a search for syllables to shoot at the barriers of the unknown and the unknowable. Poetry is a phantom script telling how rainbows are made and why they go away.” — Carl Sandburg, from The Atlantic, March 1923. 7. “Poetry should surprise by a fine excess and not by singularity—it should strike the reader as a wording of his own highest thoughts, and appear almost a remembrance.” — John Keats, from On Axioms and the Surprise of Poetry. 8. “Poetry lifts the veil from the hidden beauty of the world, and makes familiar objects be as if they were not familiar.” — Percy Bysshe Shelley, from A Defence of Poetry and Other Essays. 9. “It is a test [that] genuine poetry can communicate before it is understood.” — T. S. Eliot, from the essay "Dante." 10. “Poetry is the spontaneous overflow of powerful feelings: it takes its origin from emotion recollected in tranquillity.” — William Wordsworth, from "Preface to Lyrical Ballads." 11. “We make out of the quarrel with others, rhetoric, but of the quarrel with ourselves, poetry.” — William Butler Yeats, from PER AMICA SILENTIA LUNAE. 12. "'Therefore’ is a word the poet must not know.” — Andre Gide, from Journals. 13. “I would define ... the Poetry of words as The Rhythmical Creation of Beauty.” — Edgar Allan Poe, from "The Poetic Principle." 14. “Poetry ... is the revelation of a feeling that the poet believes to be interior and personal which the reader recognizes as his own.” — Salvatore Quasimodo, from a speech in New York, quoted in The New York Times. 15. “A poet dares be just so clear and no clearer... He unzips the veil from beauty, but does not remove it. A poet utterly clear is a trifle glaring.” — E. B. White, from One Man's Meat. 16. “The poet is the priest of the invisible.” — Wallace Stevens, from Opus Posthumous. 17. “A poet can survive everything but a misprint.” — Oscar Wilde, from The Children of Poets.